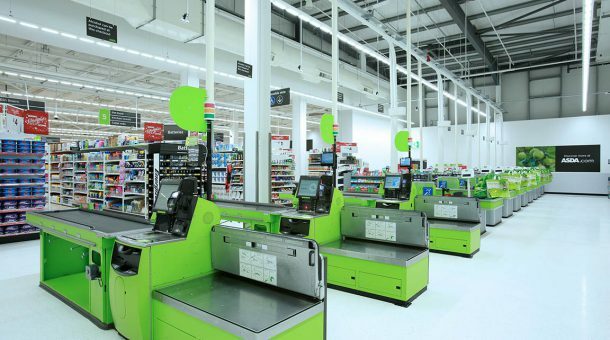 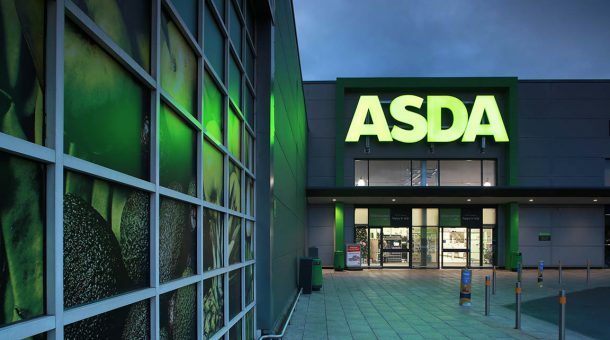 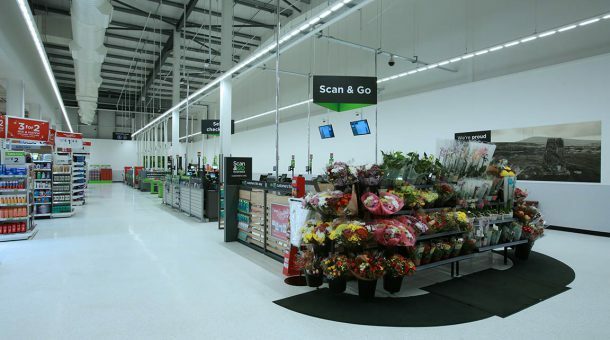 As part of our three year framework agreement with Asda we were awarded the extension and refresh scheme at the Westwood store in West Belfast. 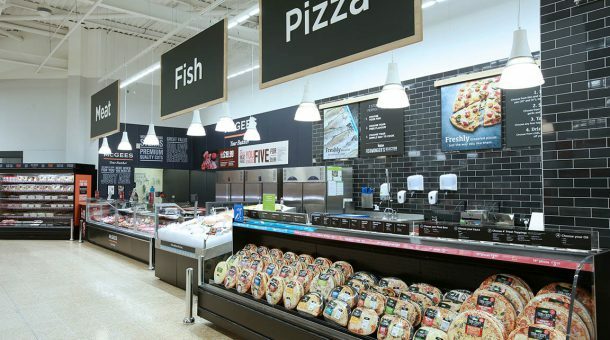 The project involved a full store refresh as well as an extension to increase the available sales floor area by 7,000ft2, updating all in store offerings in line with current corporate branding. 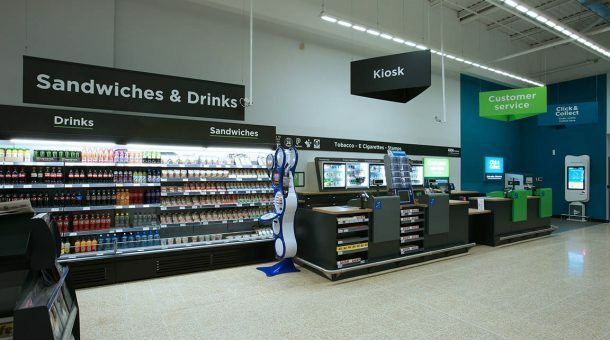 The project involved a collaborative approach between our construction, refrigeration and fire and security divisions with the construction division acting as principal contractor. 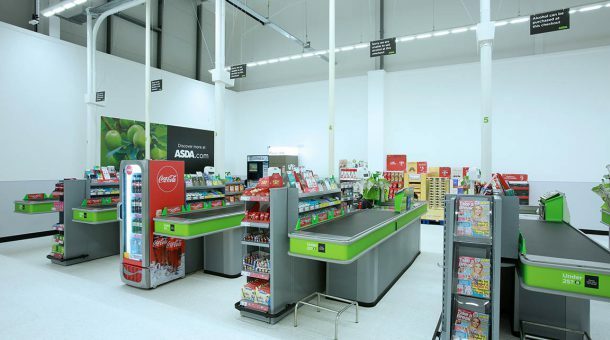 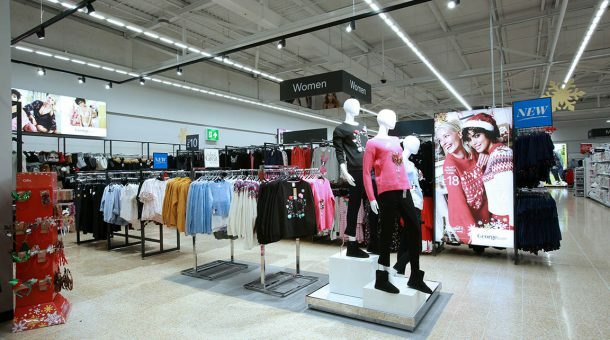 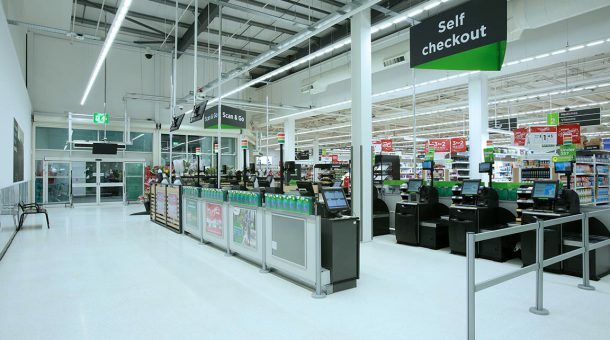 The overall works covered all areas of the store including: extending the existing store in to a new retail unit that had been constructed next to the store; new main entrance and relocation of checkouts; replacement of all frozen, chilled and ambient cases; replacement and reconfiguration of all sales floor fixtures; installation of a full new George department as well as new Kiosk, Customer Service Desk, Click and Collect offer and Food to Go. 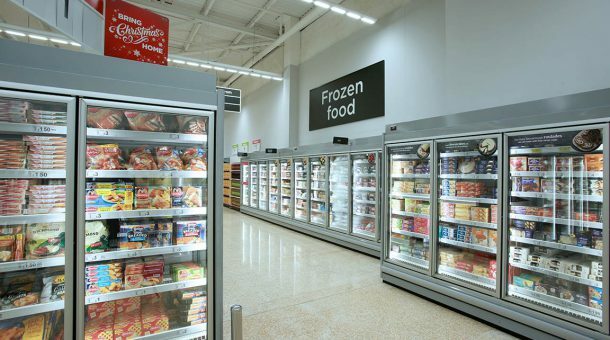 We upgraded the refrigerant gas, fixtures and replaced the refrigeration with a minimum 10 year asset life expectancy. 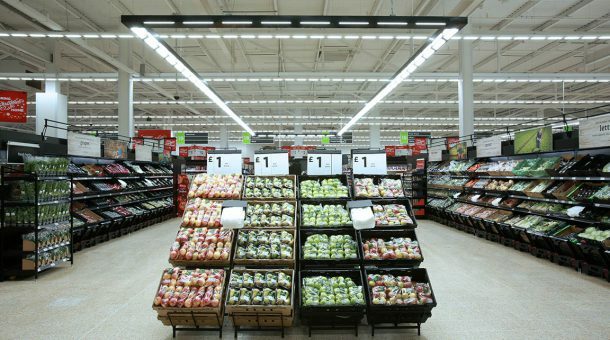 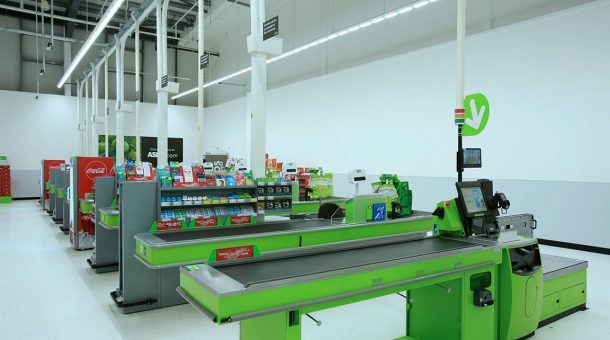 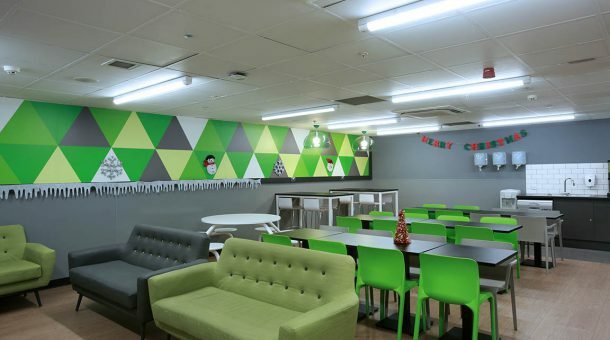 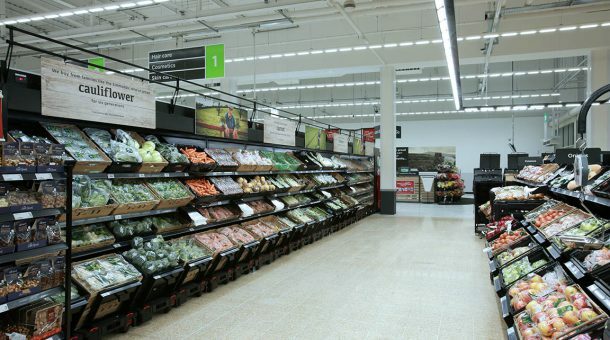 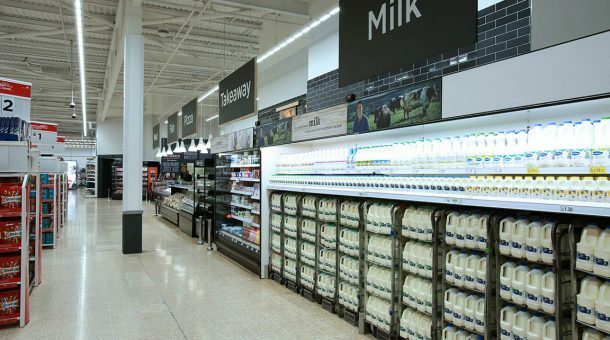 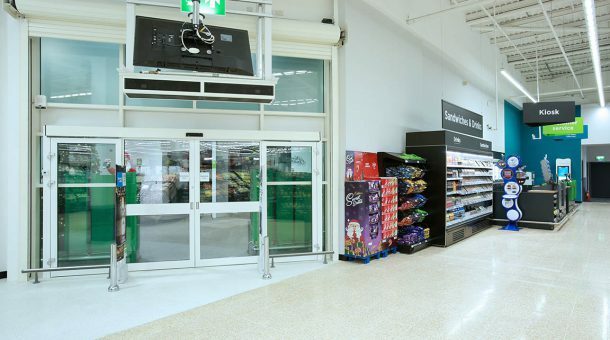 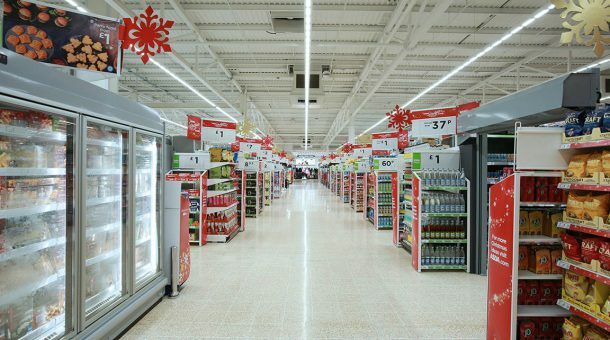 The full refurbishment and extension was carried out in a live trading store, maintaining full product availability for customers throughout. 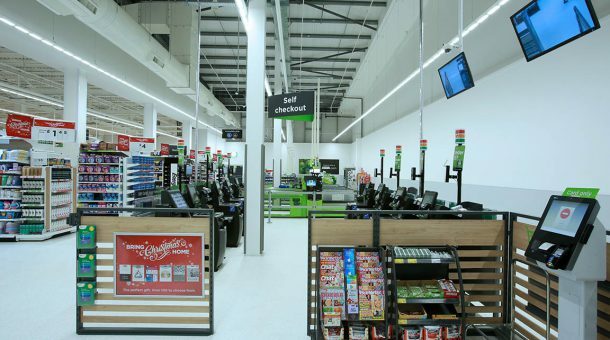 The project was featured in the Belfast Telegraph.